CFILC is a registered 501(c)(3) non-profit Corporation. 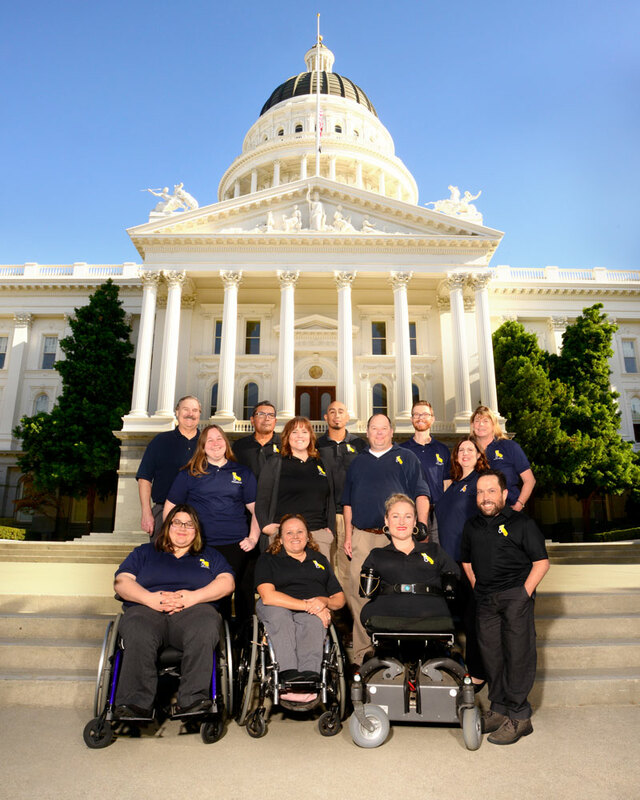 It's members are the Independent Living Centers (ILCs) of California. The Board of the Directors consist of the Executive Directors of each member ILC. Each fall the board elects members to two-year terms as officers on its Executive Committee. Their terms begin the following January. Our staff is a richly diverse group of individuals from various backgrounds and experiences. CFILC staff member range from hard-working seasoned veterans that have adovcated in the disability community for decades, along with youthful talented staff members that bring new tools and technology, with a fresh perspective on advocating in the new millenium. We also can't do the great work we're able to accomplish without the dedication and colaboration of our funders, volunteers, advocates, and independent living centers around California. As mentioned above, CFILC has a number of Programs and Campaigns to focus different areas of advocacy, and provide avenues for success for our members at the independent living center level.